The Mountain Chalet Rönn offers first class rooms and apartments in a green and quiet location for a relaxing summer and winter holiday in Corvara Alta Badia. Do you like to spend your holiday in the Dolomites in an exclusive atmosphere and do you want to share it only with your relatives? Well! 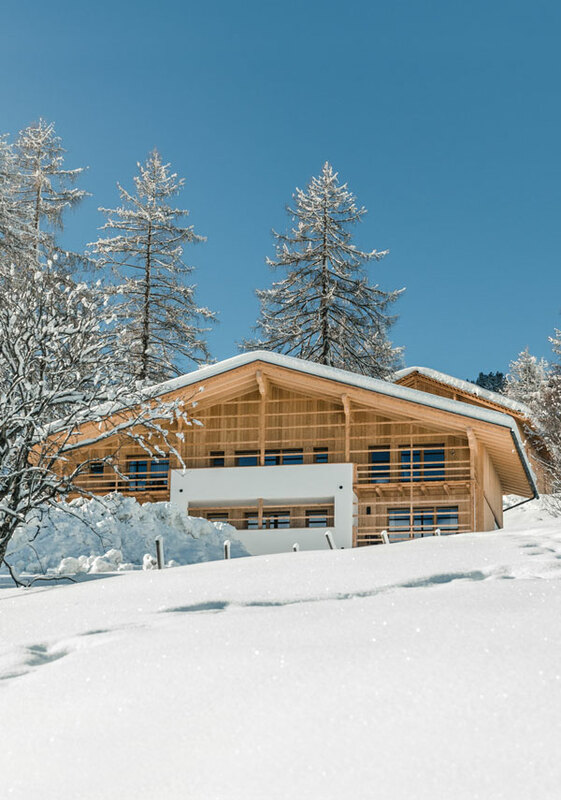 We can offer what you need: you can book the entire Chalet Rönn, only for you. Your exclusive mountain house can host till 25 people. All the rooms are equipped with private bathroom, satellite TV, Wi-Fi, wellness bag with bathrobes and slippers, and mini bar. If you book the entire chalet, you can have all the house spaces only for you, those spaces are: an equipped and modern kitchen, the lounge area, the dining room with a panoramic view, the spa area, the outside patio, the outside whirlpool and, during the winter, the ski room that in summer is also perfect to lock your bike. 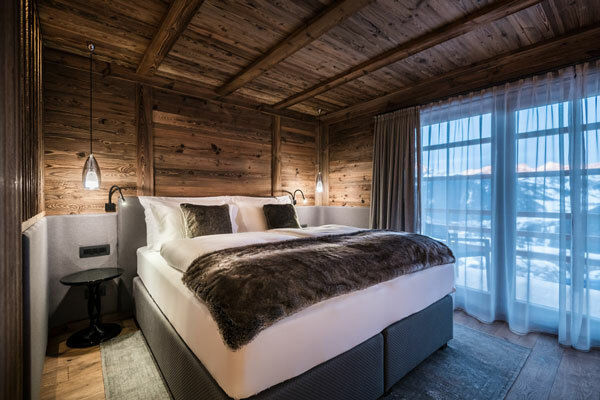 If you want a completely relax time in the Dolomites and you don´t want to spend your time in cooking, you can book the entire chalet with half board treatment and have the breakfast* and dinner in the nearby Hotel Kolfuschgerhof**** (only 100 meters far from the chalet). If you want to enjoy the magic atmosphere of the Dolomites only in your mountain chalet, we can organize a private chef, that can cook only for you. Are you passionate about the Tyrolean kitchen? Do you want to try the dishes preparation? We can organize private cooking classes in the mountain chalet. Are you passionate about wine and do you want to use your holiday time in the Dolomites to know the Tyrolean wine world? We can organize for you a wine tasting with our sommelier. The Chalet Rönn sommelier will select for you the best wines from our big wine-cellar. There is also the possibility to organize an excursion in a winery. 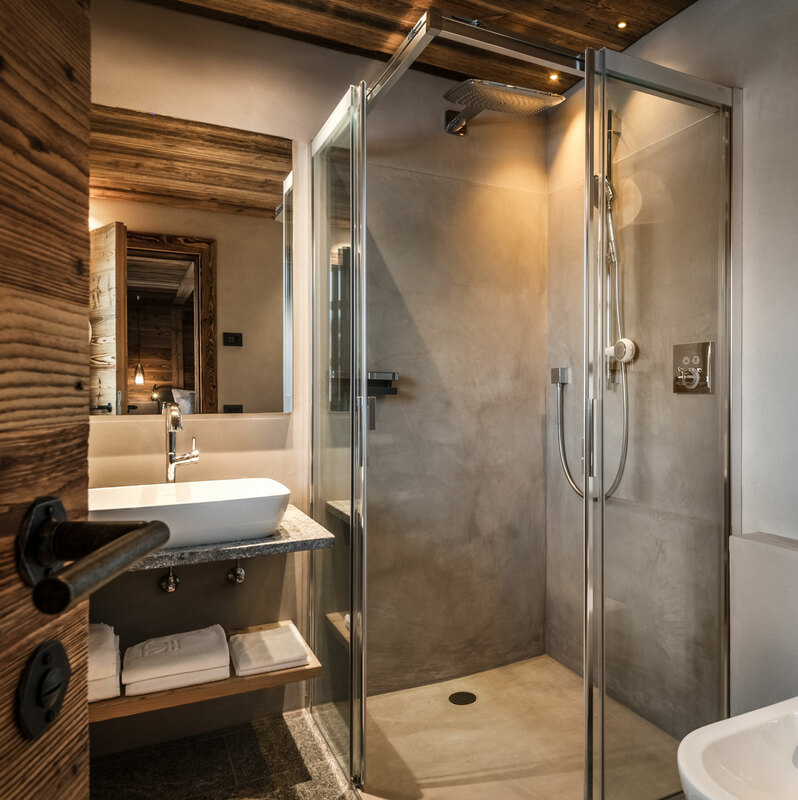 For all that want to regenerate themselves from the urban chaotic life style or from the sedentary life-style, we suggest you to book aesthetic treatments and massages in nearby Hotel Kolfuschgerhof´s spa. It is also possible to organize a massage directly in the mountain Chalet Rönn. 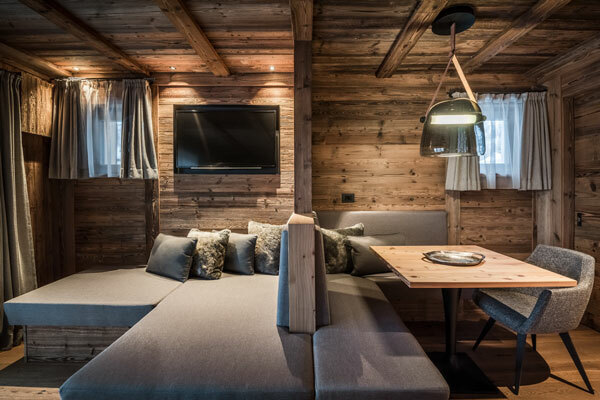 *On request it is also possible to have the breakfast directly in Chalet room. 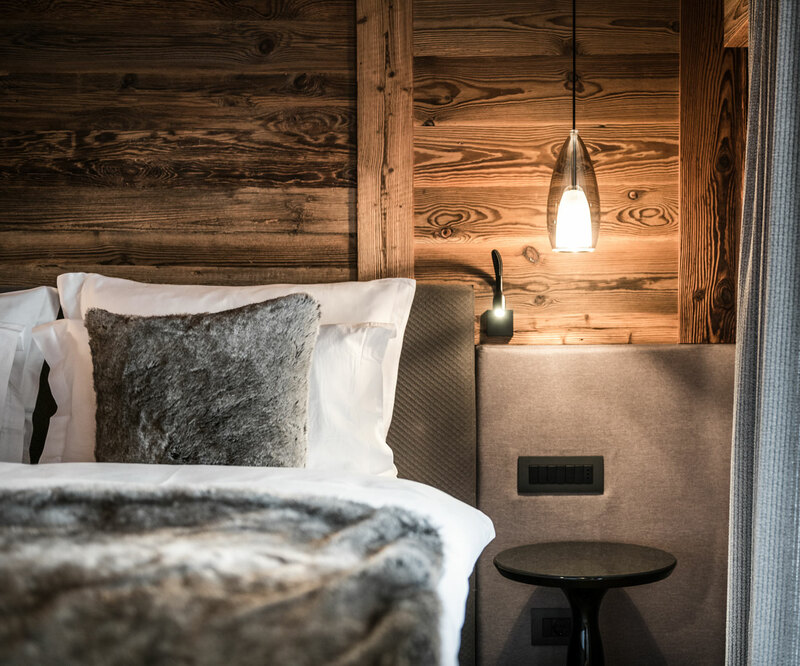 Are you thinking to spend your holidays in the Dolomites in an exclusive location, in the spirit of the luxury, the elegance and intimacy? 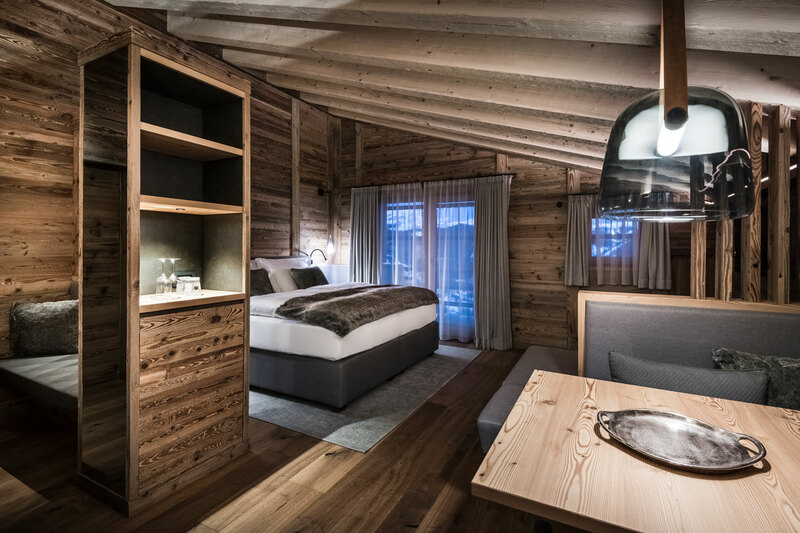 It´s possible to book only rooms of Chalet Rönn that you need (until 4 rooms, with maximum 3 people per room). All the rooms have private bathroom, satellite TV, Wifi, wellness bag with bathrobes slippers, and mini bar. There are different reservation possibilities: you can choose b&b solution, with the breakfast served in the nearby Hotel Kolfuschgerhof**** or half board solution (breakfast and dinner), with the meals served in hotel. The ladin word “raisc” means root. 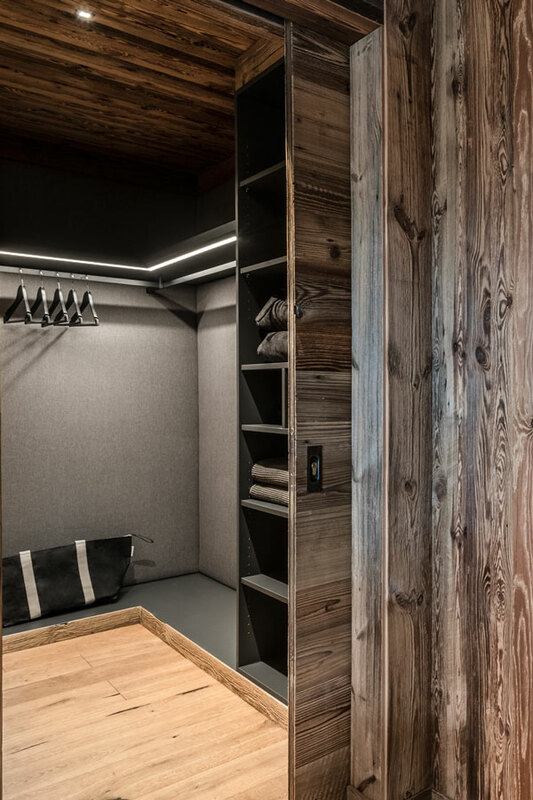 The apartments let you feel like into an old fir tree hot embrace. And the big fir trunk will protect your relax. The wall of the rooms are in fact covered by wood, there are not openings throughout the outside. The raisc apartments are really comfortable and easy to get into, thanks to the elevator. The brand new air conditioning ensures a constant air ventilation. It´s also impressive the acoustic isolation of the spaces. 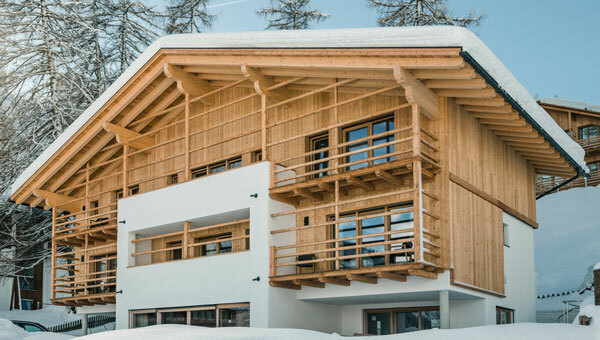 In each apartment of mountain chalet can stay until 6 persons. They are totally independent, with a modern and furnished kitchen. The rooms of the apartments have private bathroom, satellite TV, Wifi, wellness bag with bathrobes and slippers, and mini bar. If you book the Raisc apartments you can choose a b&b treatment solution, the breakfast can be served or directly in chalet or in the nearby Hotel Kolfuschgerhof****. 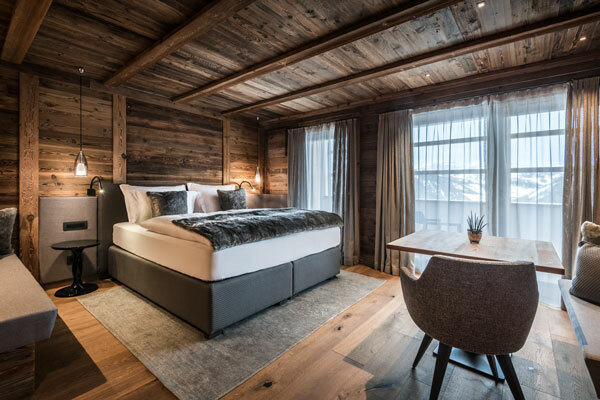 It´s also possible to book the half board treatment (the meals will be served in Hotel Kolfuschgerhof). 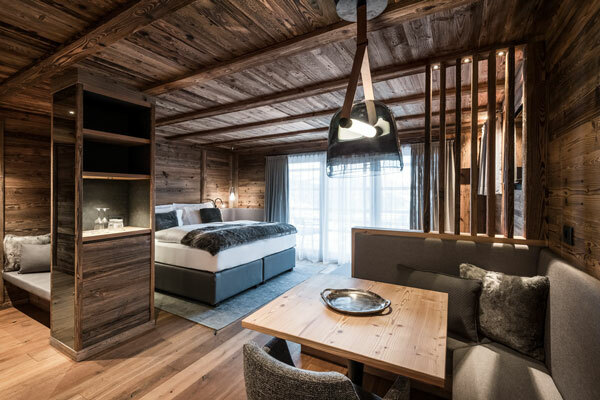 Experience unique elegance in Alta Badia - A refined luxury awaits you in all rooms furnished with natural wood and in the exclusive SPA area. 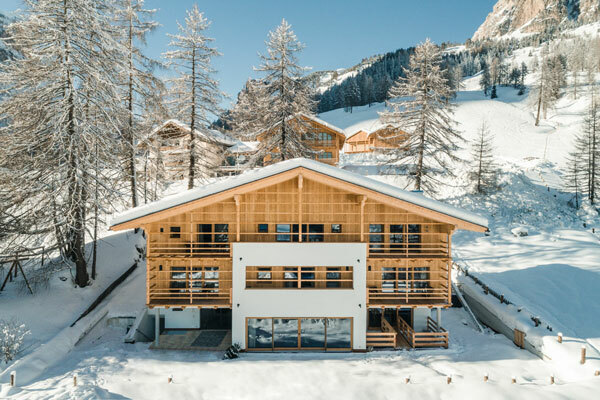 The Chalet Rönn impresses above all with its views of the breath-taking mountain scenery.